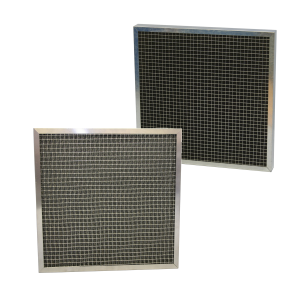 An Activated Carbon Discarb Filter offers a compact and convenient solution to mounting Bonded Activated Carbon Panel Filters (sometimes known as biscuits) using a range of filter housings. A Carbon Discarb Filter Cell can contain up to 12 Bonded Carbon Panels which are sealed into a galvanised steel casing. Carbon Discarb Filters can be installed into ventilation ductwork using suitable sealing faces or slide rails to ensure that all air passes through the Activated Carbon. 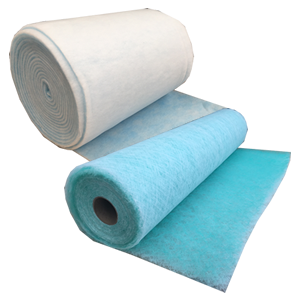 Multiple Filters can be used together to treat any required air volume at any required contact time and ensure a good level of gas removal or odour control. The industry standard sized Activated Carbon Discarb Filter has always been sized at 597H x 597W x 597Dmm. This filter contains 12 bonded carbon panel filters and weighs in excess of 55kg. Due to manual handling restrictions these “Full Size” Carbon Filters pose risks that must be considered when manoeuvring or installing. To address this issue, we manufacture both a “Half Cell” and a “Third Cell” which can be mounted side by side, to make up an equivalent filter to the industry standard, or as required to meet airflow and contact time requirements. Our “Half Cells” and “Third Cells” offer a more manageable weight making for safer site installation and handling for our Activated Carbon Filters. Images showing how “Half Cells” and “Third Cells” can be used together to make up the industry standard filter size of 597Hx597Wx597Dmm overall size. Click Here for more information on our Activated Carbon Discarb Filters. Or call our sales team on 01622 832777 for details.